Building a classroom culture centered around personalization sounds pretty tough. But what if I told you the responsibility didn’t reside entirely in your hands? Generally, when educators are considering personalization, they believe they need adaptive, automated programs that provide children with activities at their ‘just right’ level. And while things like Khan Academy or RazKids may provide a layer of personalization that is technologically enabled, what’s more important in the personalized classroom is bolstering a sense of student agency while promoting autonomy in decision-making. This, in effect, creates a space where the responsibility is shared between educator and student; it levels the playing field so that all individuals within the classroom are drivers of their own learning. So how does one achieve a level of autonomy and agency? How does one foster intrinsic motivation to help children personalize their own experience to effectively scale personalization? Start by explicitly teaching habits. As a part of my morning meeting curriculum, I’ve specifically worked in lessons on giving and receiving feedback, expressing gratitude, time management, and managing impulsivity, skills with which many children in kindergarten and first-grade struggle. However, I knew that if I wanted my children to have a hand in personalizing their own experience, that I must foster intrinsic motivation by teaching them to develop a conscious knowledge of themselves and their behaviors in order to set and monitor goals. It’s important to note that teaching an awareness of impulses was not meant to stifle creativity or curiosity, but instead a way to help students understand that impulses are normal, that some are worth acting on, and that sometimes, delaying gratification can give you what you really want long-term. To achieve this, we participated in lessons on waiting to pop bubble wrap, resisting the urge to eat marshmallows, or trying not to play with toys that were sitting right in front of them. My personal favorite was using a musical instrument called a boomwhacker. We discussed how musicians must manage impulsivity in order to play at the right time and with the rest of the group. 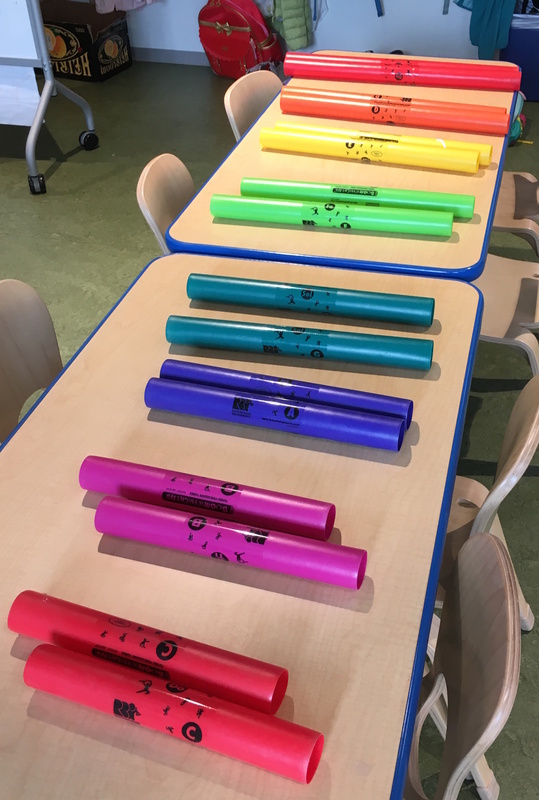 It was a great music lesson, and a natural way to apply managing their impulses! The time tracker chart! 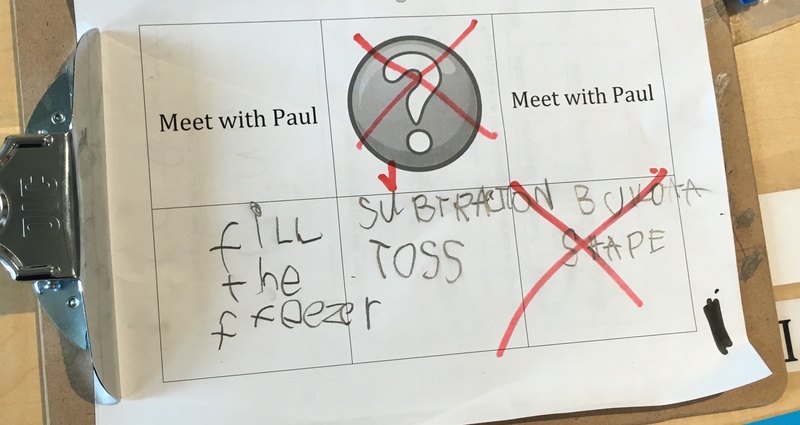 Learning through mistake-making. Set children up for success… and for failure. I realized early on this year that if I wanted my children to learn how to manage themselves, it was necessary that they got some practice first-hand, and it was necessary that they feel the pain of failing, too. In my mind, the best way to do this was through morning meeting. As a result, I had them start running it, and without much warning. As you can probably guess, it was incredibly chaotic at times, but it was from those moments of predicted and intentional chaos that my children learned how to talk to each other, how to influence their friends’ behaviors, calm themselves down through mindfulness, gain an awareness of their impulses and feelings, and transition themselves between different activities, such as calendar, morning message, or checking the sunrise and sunset times. In fact, these times of chaos–times I knew that would come–served as an authentic need for the children learning how to talk with one another. They realized that, when they didn’t cooperate with each other, they would feel nervous, anxious, and frustrated. Hand signals for transitions, kind reminders, requests for giving and receiving feedback, and other structures within morning meeting helped them solve these problems on their own. We even created a new job for the morning meeting called Time Tracker. Every morning, the time tracker’s job is to record on our line graph when we begin morning meeting. 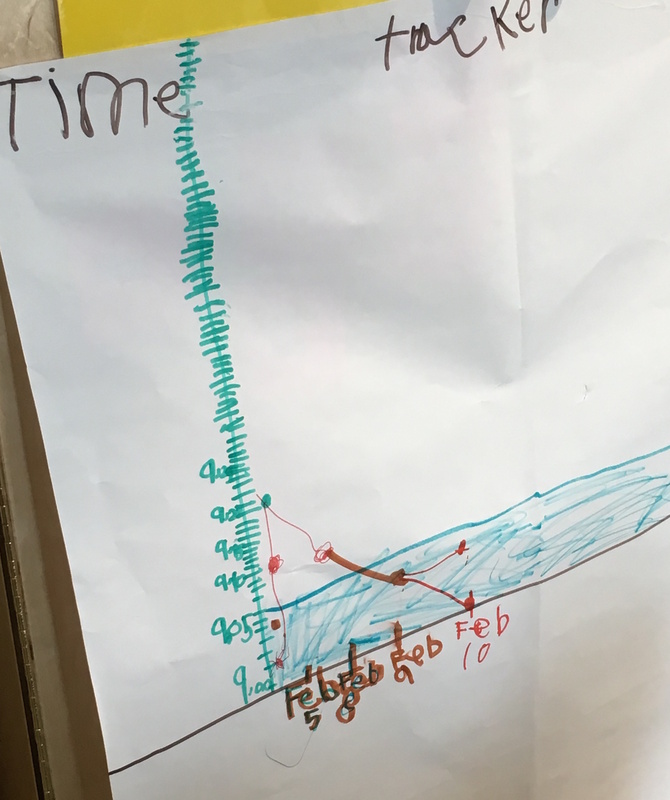 This has helped to cultivate an awareness of the start time, meanwhile helping my little ones practice telling time and even exposing them to the advanced skill of graphing on a line graph. Over time, they have slowly became more aware of their start time. In fact, just the other day, as I was sitting on my computer in the morning, one of my little ones said to me, “Paul, it’s time for morning meeting!” I quickly got up from my work and joined in! Provide clear boundaries for choice making. Originally, when I began math workshop this year, I took an entirely project-based approach. We began by examining ancient number systems and eventually making clay tablets for our own unique number systems. I soon realized I needed more skill-building within my math workshop, but the last thing I wanted to do was resort to worksheets or automated tools. While an easier solution, not only did it go against my philosophy of hands-on learning, but rote tools would have lost their novelty over time, even if they were on a screen. I chose math games and exploratory centers instead. But even that became a little chaotic at first. Through some reflecting and some discussions with other teachers, I centered on using a choice chart with my children. 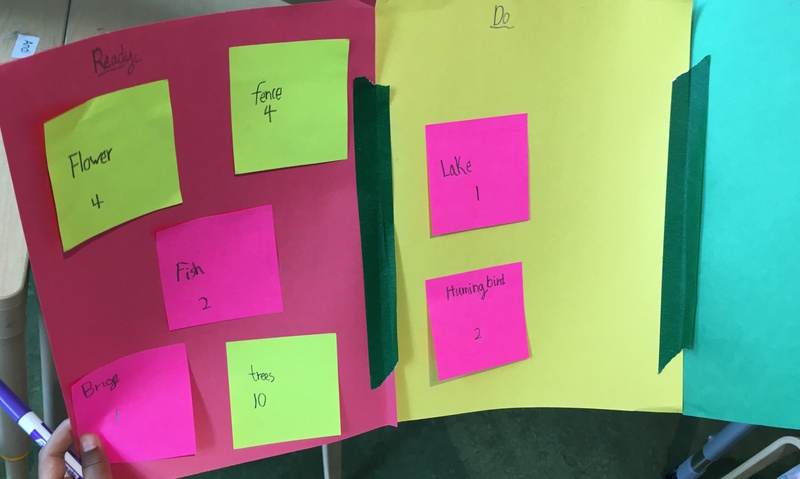 The choice chart allotted several spaces for the children to choose their own games, and several spaces for me to make choices for them, as well. This also ended up serving as a goal-setting sheet. I was able to use it as a foundation when talking with children about what skills they needed to work on. “What games are you going to play this week?” I’d ask. “And why are you choosing those?” This allowed me to give them feedback on their goals so that they truly were practicing the skills that were just-right for them! One of my student’s choice charts. Create kid-friendly tools that teach executive functioning and setting short-term goals. For the first time ever, I’ve taken a structured approach to passion projects this year. This is difficult, as you can imagine, because every child is working on something different. Small children have trouble seeing only 20 minutes into the future, nonetheless far enough to pursue a passion project to completion. While many project-based learning templates will tell you to set up a scope and sequence for an entire project, I realized that, for this age level, that wouldn’t be quite appropriate. Not only would it limit their creativity, but it would also take the play-based element out of the project. I wanted them to be able to tinker, to problem-solve, and to be spontaneously inspired to add or take away from their projects. To do this, I used Kanban boards, a trick I learned from another teacher this past summer. The only difference is, I meet with them only to lay out about three steps at a time. By talking about what the end product might look like, coupled with talking through the next few steps, children create a short-term goal to which I can hold them accountable, without stifling any future inspiration that may come from more work on their project. A Kanban board for our origami project. Some of these structures and processes take time setting up. I’m sure that comes as no surprise. But the primary grades are meant for just this: for laying the foundation for a lifetime of learning. By giving children the tools that help them tap into their creativity, harness a sense of personal agency, and in effect, personalize their own experience, we are teaching resilience, critical thinking, and helping them to develop a conscious knowledge of self that will carry them far. Try some of these things out in your classroom, and let me know how they go! Prev How can we scale personalization? Focus on intrinsic motivation. Next What Happens When Kids Run Their Own Morning Meeting? Great article. Are you familiar with Montessori Education, you seem to be. If you are not already, you should look into it. You’d appreciate it. Again, thanks for a great read. Yes, I am familiar. Our model is somewhat inspired by Montessori, but as I go into next year, I’m hoping to incorporate even more elements. Thank you!